Using Wrinkle reduction treatment for Rosacea? Rosacea is skin condition resulting in irritation and redness of the skin, usually at the cheek area of the face. While relatively harmless from a medical perspective, the swelling, redness and acne-looking scars caused by the condition can lead to issues of self-esteem in sufferers. Although there has been plenty of researches and theories, the root cause of this disease still remains unknown. Unfortunately, there’s still no known cure for this condition but there are measures to manage the symptoms. Rosacea sufferers can determine ‘triggers’ and avoid them such as spicy foods, stress, warm weather, irritating skin products and alcohol. There are also skin care products sold on the market to temporarily address the symptoms such as irritation and redness. There are a number of antibiotic and antiseptic preparations that could help alleviate rosacea symptoms. These medications fight Deomdex and other microorganisms that could worsen the condition. Laser treatments such as VBeam and Intense Pulsating Light (IPL) can safely and effectively deal with the discoloration and redness causes by rosacea. They help reduce blood flow by constricting the blood vessels of the skin, reducing the redness. Many experts believe that this condition has a neurogenic component. This means that a stimuli from the nervous system can directly influence a person’s rosacea. This is the reason why emotional responses such as feeling angry or embarrassed can trigger a flare. Our nervous system has been studied to affect inflammatory process, blood vessel and even the skin’s sebaceous activity. Aside from the treatment options for rosacea mentioned above, another one being considered is Wrinkle reduction treatment . Based on a recent study, Wrinkle reduction Injections may be another effective treatment for facial redness due to rosacea. The study was done on a group of rosacea sufferers with multiple Wrinkle reduction Injections administered ranging from 15 to 45 units. Almost all participants noticed a reduction in flushing, inflammation and redness within a week. Results remained up to 6 months after the Wrinkle reduction treatment injection. All the participants reported no adverse effects or any relaxation or weakness of their cheek muscles. That is because the Wrinkle reduction treatment was administered intradermally unlike in treating wrinkls where it is given deeper in the skin. Unfortunately, not all sufferers will have access with Wrinkle reduction treatment . However, the treatment works satisfactorily overall. 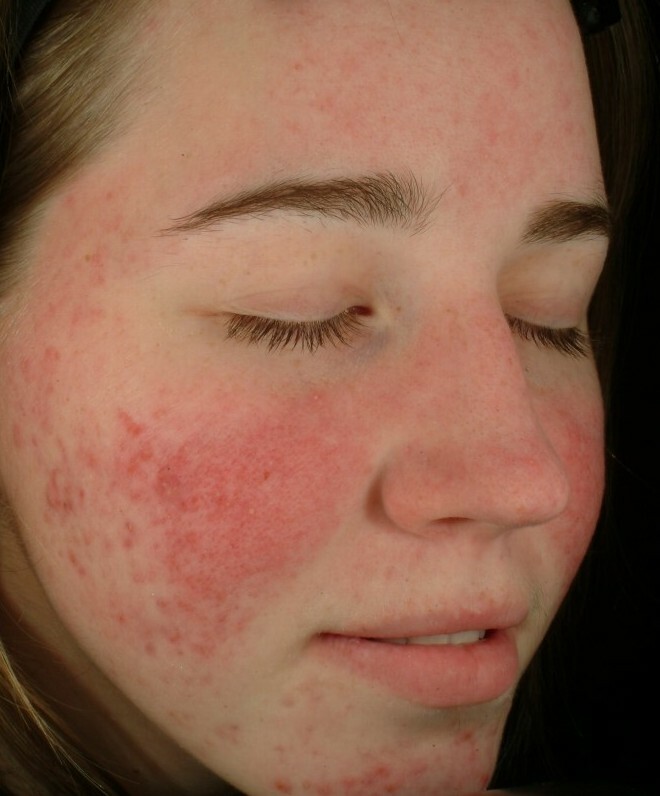 It is critical to assess the type of rosacea a person suffers. There has been more success in treating erythematotelangiectatic rosacea, which is characterized by a persistent flushing and redness of the face. Experts say that combination therapy still provides the best results. The goal of treatment is still centered on what is known about the skin disease by using a standard of care – and discover new forms of treatment that are safe, effective and scientifically sound. Wrinkle reduction treatment vs. Dysport are both neurotoxins, a form of Botulinum Toxin Type A, which have been approved by the FDA for addressing wrinkles and fine lines. Although both products are chemically similar and have been used for the same indication, there’s one big difference between the two – both products cannot be interchanged as they are dosed differently. As we age, wrinkles and fine lines naturally develop in certain facial areas because of frequent muscle contractions from the usual daily facial expressions. For instance, squinting and smiling could create ‘crow’s feet’ around the eyes, while lifting your brows may lead to forehead wrinkles. Dysport and Wrinkle reduction treatment target wrinkles and fine lines by relaxing the specific muscle tissue and prevent such muscle from contraction. When injected into a specific muscle, both products can temporarily block the nerve impulses that control contraction of the muscles. This results in reduction of movement and relaxation of muscles to reduce the appearance of wrinkles. Both provide temporary results. After a certain period, the nerve impulses start to reach the muscle area again, which result in both muscle contractions as well as the reappearance of facial lines. But with regular treatment sessions along with an experienced injector, it can approximately maintain results in 3 to 6 months. The difference between the two boils down to differing formula characteristics. In terms of dilution, Wrinkle reduction treatment is diluted differently than Dysport. If a patient used a specific number of Wrinkle reduction treatment units, they will likely need to reduce the number of unit when changing to Dysport. But higher dilution doesn’t mean that Dysport is less efficient than Wrinkle reduction treatment . It only means that more dosage of Dysport is needed to get the same result. In terms of molecular size and diffusion, Dysport seems to diffuse more than Wrinkle reduction treatment , which causes it to cover a greater area once injected. Because Dysport has smaller molecules, it works more rapidly than Wrinkle reduction treatment and spreads to a broader area. In certain areas, this is good but not all. Dysport is less efficient in addressing delicate areas where more precision is necessary. That is why it’s highly important to see a doctor who has considerable experience and expertise when it comes to administration and dosing. The bottom line is, choosing between Dysport and Wrinkle reduction treatment may boil down to simple preference of the patient and the doctor. There are times when both products are used concurrently during a single treatment to produce better result. Most people see wrinkles or facial lines the same way – the nasty effects of aging, but did you know that there are different types of wrinkles? Wrinkles can be classified into two categories – the dynamic wrinkles and the static wrinkles. Each has unique root causes and appears in a distinct manner. For each type to be properly addressed, both requires different type of treatments. 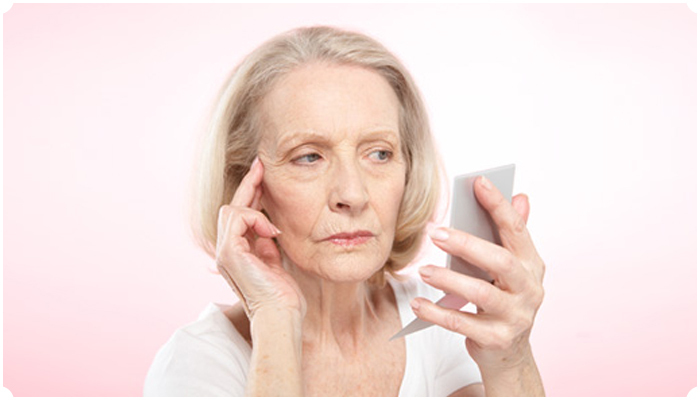 To know more, below is a brief overview of the 2 types of wrinkles: dynamic and static wrinkles. Dynamic wrinkles form from repetitive facial movements such as smiling, squinting, frowning, crying and puckering of the lips. Dynamic wrinkles appears after many years of muscle movement, which naturally causes wrinkling of the skin. This type of wrinkle form in facial areas where there is greater movements such as between the eyebrows, across the forehead, around the mouth and around the eye corners. The most popular treatment for dynamic wrinkles is Wrinkle reduction treatment , an effective injectable treatment derived from a neurotoxin that can relax the facial muscles causing wrinkles and facial lines. It is very popular because it is minimally invasive and require no down time. The effect of Wrinkle reduction treatment usually lasts 4 to 6 months from the initial treatment date. Static wrinkles form due to a natural loss of collagen, elasticity and tissue volume, which results from the natural facial aging. Among these factors, the leading cause off static wrinkles is the loss of skin collagen. Collagen is an important protein that supports the entire framework of the skin. As you age, your normal production of collagen starts to slow down and the other existing collagen starts to break down. The continual pull of gravity along with the decrease in collagen level can take a toll on your face, with the creation of furrows and folds. Static wrinkles commonly appear between the mouth or nose, and cheeks. The nasolabial folds are the most common area to show static wrinkles. But it is possible for static wrinkles to develop in almost anywhere on the face. Perhaps the best way to correct static wrinkles is with dermal fillers – a minimally invasive, non-surgical treatment that can instantly smoothen face and reduce the appearance of wrinkles. Today, dermal fillers can provide patients with complete facial rejuvenation, providing patients with a fresh, radiant and youthful look. Dermal fillers offers instant results, with little to zero downtime. In fact, you can easily undergo a full filler rejuvenation during their lunch break. The results of filler usually lasts between 8 months and 2 years, but this depends on the amount and type of filler used and the area where it is injected. Wrinkles is considered as the most common sign of aging. Everyone age and get wrinkles… and we all desire to eliminate them. But there is no easy solution when it comes to getting rid of wrinkles and facial lines. That is because our face has different types of wrinkles, and each one requires a certain treatment plan tailored to treat them. One of the most common type of wrinkles is creping skin. Although crepes filled with fruits or ice cream may be delicious to look at, crepey skin isn’t. Waffley or crepey skin is loose wrinkled skin that appears as skin surface sagging, similar to thin pancake-like crepes. There are times when wrinkles not only extend vertically from the cheek hollow to the jaw line. In some cases, it can appear horizontally on the flat surface of your cheek hollows. There are three main causes why creping or crêpey skin forms. First, when the body reduces the production of collagen and elastin – the proteins essential for the skin the contract and stretch, the skin starts to wrinkle and sag. Aging skin exhibits itself in facial wrinkles and deep lines for many people, but for others, tinier, more prolific wrinkles appear mainly on the face, neck and hands, which gives the skin a creping appearance. When the creping skin starts, it may get even worse without intervention. Another reason to crêpey skin is the moisture that retains in the skin. As you age, the skin will start to feel drier since the body stops generating new skin cells that it did before. This results to slow down in the production of oil that are useful in getting rid of dead skin cells and even pathogens. Lastly, the loss of fat could be another cause of crêpey skin. Since the skin gets thinner, it doesn’t have enough fatty layer beneath and thus, hence wrinkles may start to form. Aside from the cheeks, creping skin symptoms can be also be found around the eyes and on the neck. Dermal fillers not only help eliminate or diminish the wrinkles, but it can also work in smoothening the skin. After several weeks, patients will start to notice improvement on the texture of the skin on the treated areas. If you maintain the correction, along with periodic treatments, it can likely cause patients to need lesser amount of dermal fillers as the body responds by keeping the fullness for long period. Cosmetic doctors from different parts of the world have been using advanced liquid facelift products such as Wrinkle reduction and Dermal Fillers to correct different types of cheek wrinkles. Cheek wrinkles can extend from your crow’s feet going down to your jawline just above the cheek hollow region of the face. Also called as sub-malar, this cheek hollow area is the flat area on the side of the face that extends above the jaw line. Prior to the application of dermal fillers, the areas to be treated are numbed with a topical anesthetic, nerve block or a local anesthetic. Ice is also used during and after the treatment to minimize any swelling. Wrinkles found at the outer corner of the eyes are usually called Crow’s feet. In some people, this lines can elongate over the cheek bone and on the cheek hollow. They are relatively shallow and superficial. When treating these lines, Wrinkle reduction treatment are often combined with dermal fillers such as Restylane or Juvederm to relax and fill the wrinkles. Wrinkle reduction treatment is administered in the depressor muscles just above and outside the eyes and along the cheek bone area. The fillers are placed below the wrinkles, often at the dermis of the skin. The advantage of wrinkle reduction in this area is that it can stay longer than other facial areas as there’s less movement. Some doctors reported that patients who undergone upper wrinkle liquid facelift have wrinkles disappear for longer amounts of time. The cheekbone is a common treatment zone for most people who seeking a facial lift. Over time, fat loss, collagen depletion and skeletal changes can flatten the cheeks. This only highlights sagging in various areas of the face such as the jowls, the hollows under the eyes and a downward turn of the lips. Correcting the cheek area using dermal fillers can results to a subtle yet dramatic enhancement. Depending on your personal goals, we can provide a smooth curve on your cheeks, or a more dramatic ‘apple’ effect. Those who desire for a more ‘apple cheek’ can ask for more fillers in the upper cheekbone area. Some people have facial wrinkles that extend from the cheek hollow around the jawline. Wrinkles present in this area are usually treated with a dermal filler such as Radiesse or Juvederm. For shallow, superficial wrinkles, Juvederm may last up to a year when administered in this specific part of the face. For deeper wrinkles, Radiesse is an excellent product as it not only fill and lift deep wrinles but it helps stimulate collagen production, resulting in extended results. Some doctors use Sculptra in the cheek hollows too. Sculptra is an FDA-approved for parts that have atrophied or lost volume. Though it doesn’t fill, it can stimulate collagen production over time. This provides positive effect on the appearance of the wrinkles. Some lower cheer wrinkle can be treated with Wrinkle reduction treatment too. Depending on the patient’s goals and needs, some doctors use Wrinkle reduction treatment to extend the longevity of advanced dermal fillers.